An award-winning photojournalist and speaker, Gary Graham’s writing speaks with the authority forged by decades of travel throughout Baja California, mainland Mexico and portions of Central America. 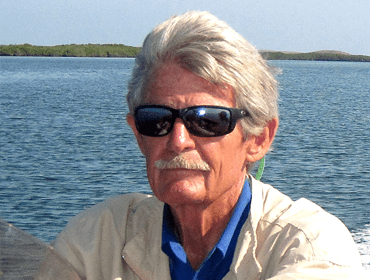 Since the 1950’s, Gary has authored 1,600-plus weekly editions of his Baja California fly and conventional fishing reports, two do-it-yourself books on saltwater fly-fishing and numerous feature articles in various regional, national and international publications. With more than five decades of fishing experience off Southern California and the Baja Peninsula, he has experienced all facets of this fishery from inshore fly to offshore big game. For example, in his first year as a member of the Tuna Club of Avalon, he received more angling awards than any other first-year member in the club’s 109-year history. He has been the Co-Executive Director of the National Coalition for Marine Conservation-Pacific Region, the founder of the Big Brothers/Little Sisters Friends of Fishing, and was inducted into the California Outdoor Hall of Fame. For the past 20 years he has been the Baja California Representative for the International Game Fish Association. A hands-on light tackle and fly angler, conservationist as well as a Baja explorer and advocate, Graham has devoted his life to finding new fisheries and developing new techniques – all of which he shares through his guiding, speaking, photography and writing.